The Foundation of Buddhist Meditation by Ven. Kalu Rinpoche was first published as a pamphlet by us in 1973. In 1981 it was included in an anthology Four Essential Buddhist Texts, which was reprinted in 1982 and in booklet form in 1992. Now we are pleased to bring out this new format in response to persistent demand. The Foundation of Buddhist Meditation outlines the basic meditation practices common to all sects of Tibetan Buddhism. The late Ven. Kalu Rinpoche, the head of the Shang-pa Kagyu tradition, is one of Tibet's foremost living meditation masters, and has guided hundreds of disciples through three-year retreats in many countries. 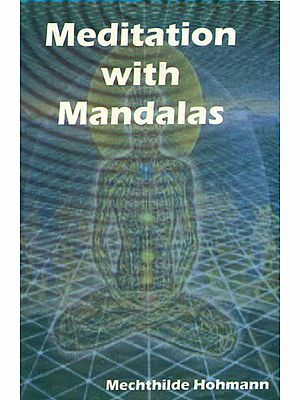 It is hoped that this meditation manual will provide the reader with a deeper insight into the complex scope of Tibetan Buddhist thought and practice. In this manual, the four teachings which motivate religious practice and the attributes of the Three Jewels are explained. If one completely understands the significance of all these things, one will turn away from the cycle of existence and strive to procure freedom, will believe in action and result (karma), and will either obtain Buddhahood in this life or will become free of this cycle, etc. Moreover when many positive qualities are cultivated, one will consolidate a basis for the holy Dharma. So, please, don't just penetrate the significance of all three things, but, in addition, strive at Dharma practice. 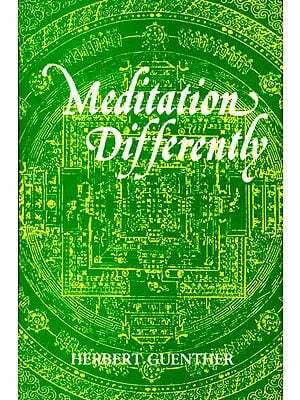 This book, was written by myself, Kalu Rinpoche (Karma Drub-gyud Ten-dzin) for the benefit of all who practice the Dharma. Ken Mcloed of Canada did the translation from the Tibetan into English, after which Kungo Losang Lhalungpa checked and corrected the translation manuscript. May this work deliver many sentient beings from the ocean of suffering, this cycle of existences; may they attain the Castle of Buddha. The Foundation of Buddhist Meditation by Ven. Kalu Rinpoche outlines the basic meditation practices common to all sects of Tibetan Buddhism. In this manual, Rinpoche gives concise explanation of the Buddhist path leading to the supreme goal of enolightenment for the welfare of all sentient beings. This manual will provide the reader with a deeper insight into the complex scope of Tibetan Buddhist thought and practice. Ven. Kalu Rinpoche (1905-1989) of the Shang-pa Kagyu tradition was one of the leading Kagyu meditation masters of this century, and has taught and guided many disciples in meditation and retreats all over the world.